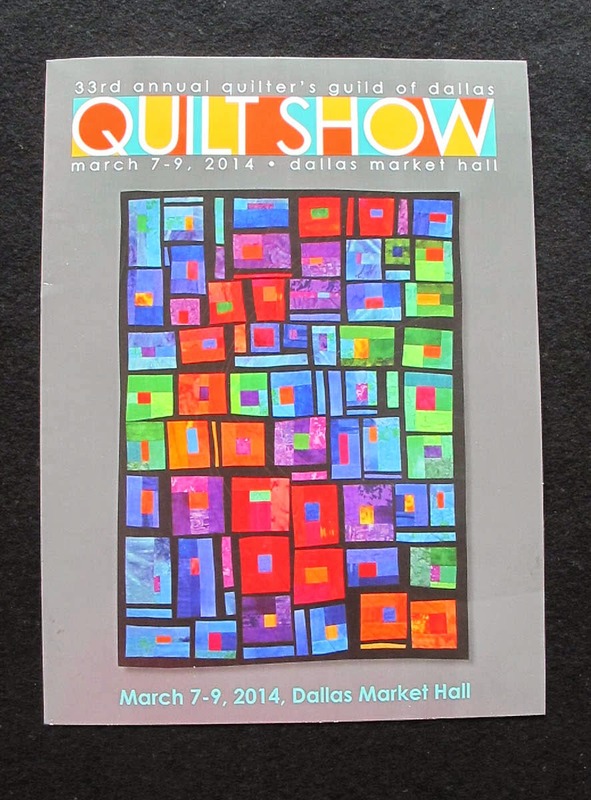 Attended the annual Dallas quilt show on Sat., March 8th with my quilting sister and 2 of her friends. 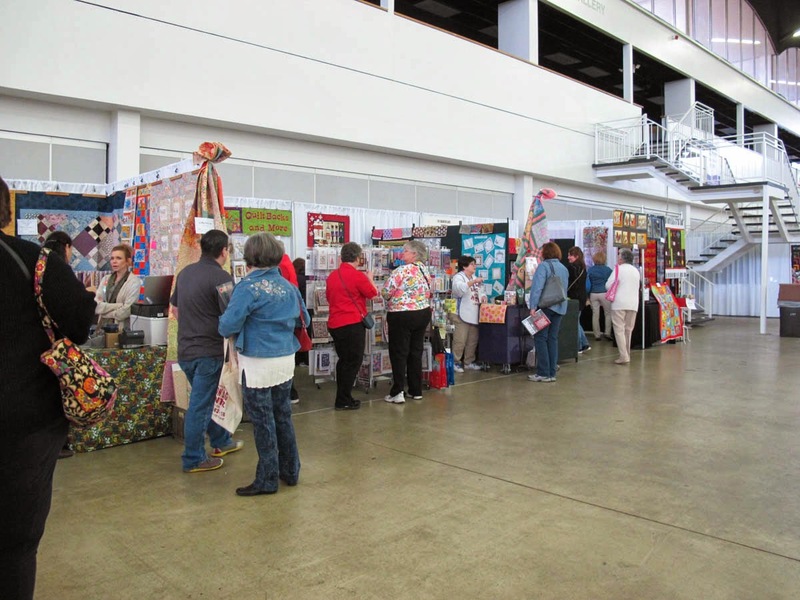 There were over 400 quilts and garments entered in the judged show, 150 vendors, and a number of special exhibits. 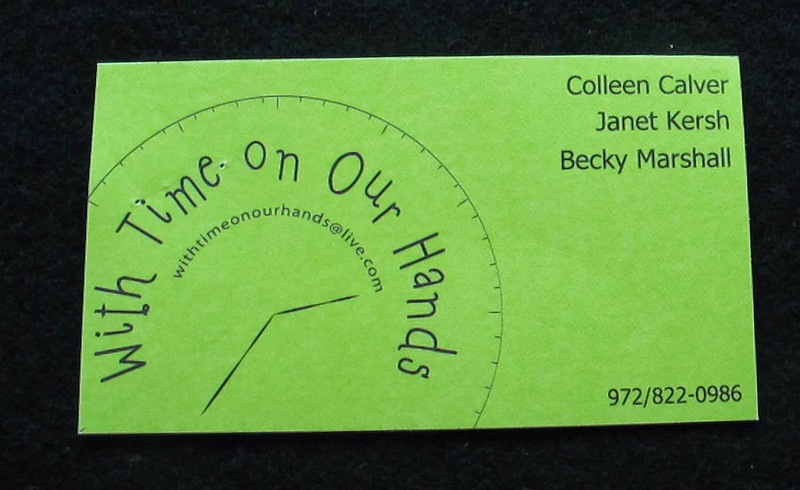 There were also demos , lectures, and guided quilt tours. Quilt appraisals were available by appointment. So all in all, a well rounded show. We spent the day and came away exhausted but satisfied with what we had seen and bought. 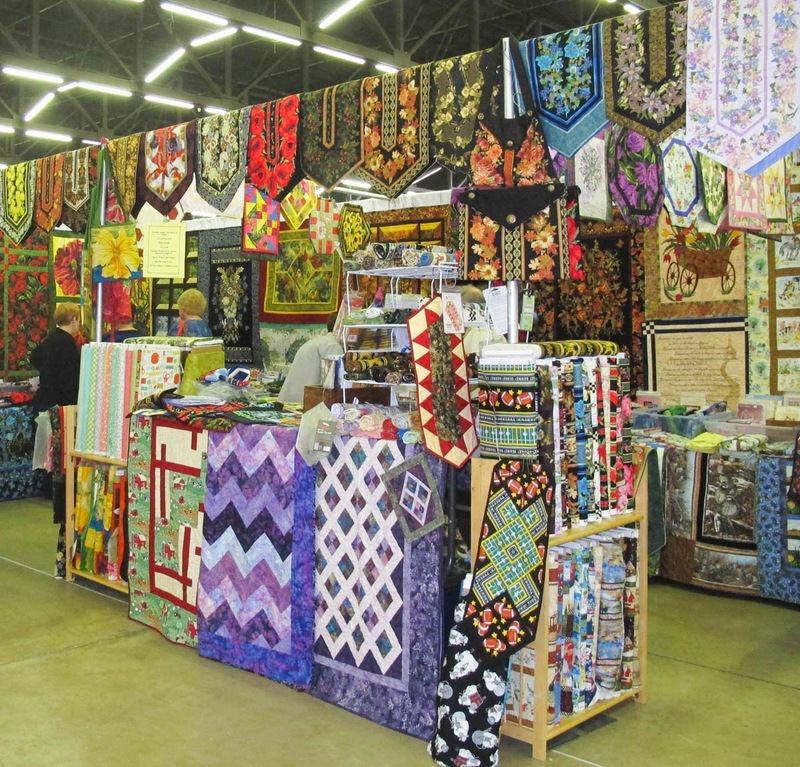 A two day visit would have allowed for more leisurely viewing of the quilts and vendor browsing. 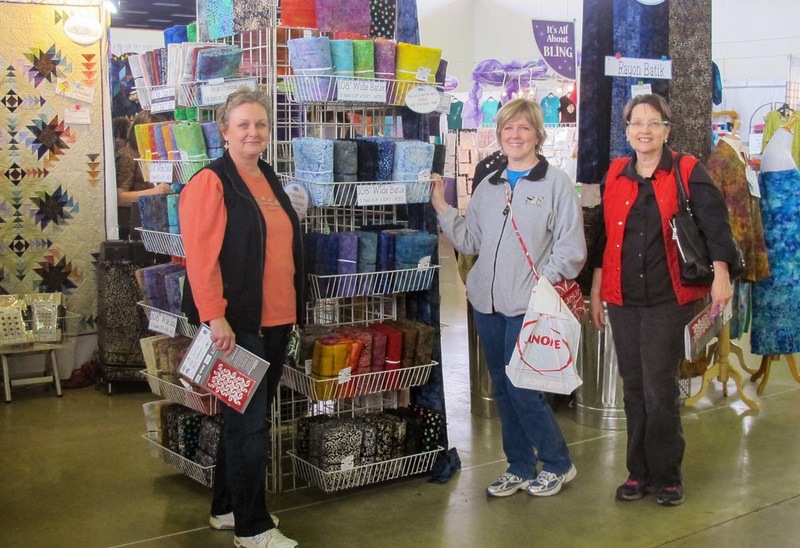 Sis on the left with her 2 quilting friends. especially liked. 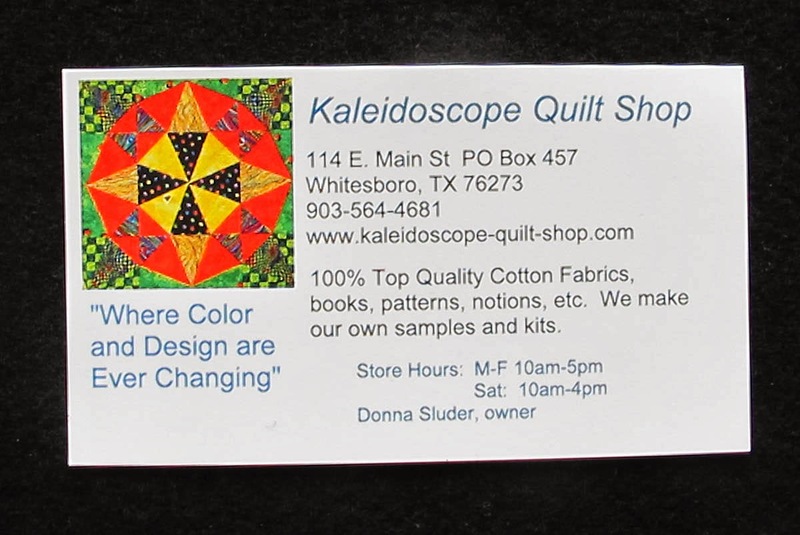 However, posting them would have required written permission from the quilt owners which was not an option. to enter. 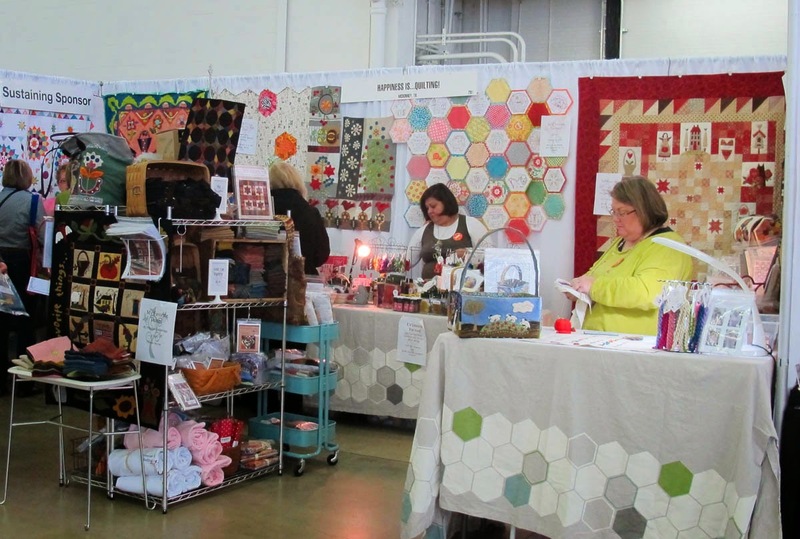 I managed to get a general vendors booth shot before the flood of shoppers hit! 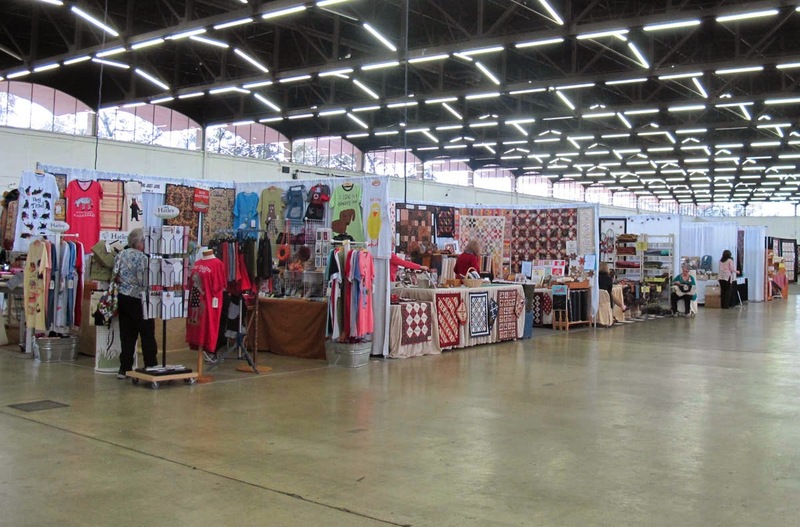 The following are a few of the vendors that particularly appealed to my interests but there was something there for everyone. Pictured are Heather and David. 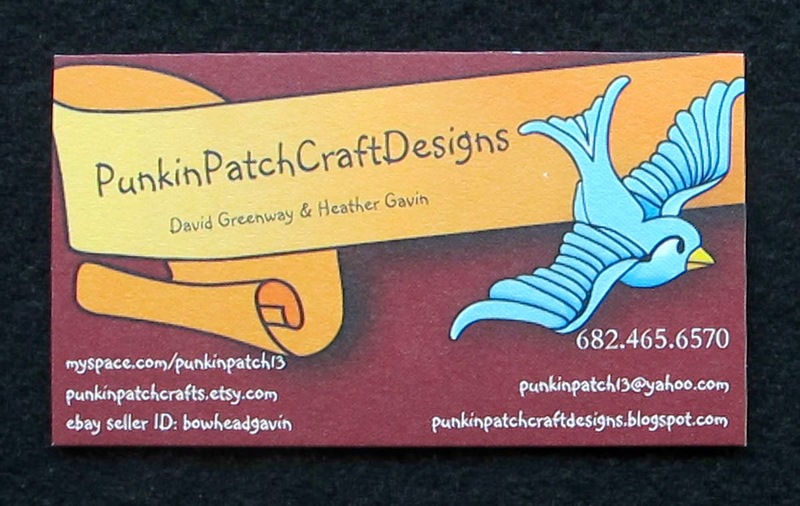 David, a former professional artist, is the designer of all of the original patterns featured in their booth. 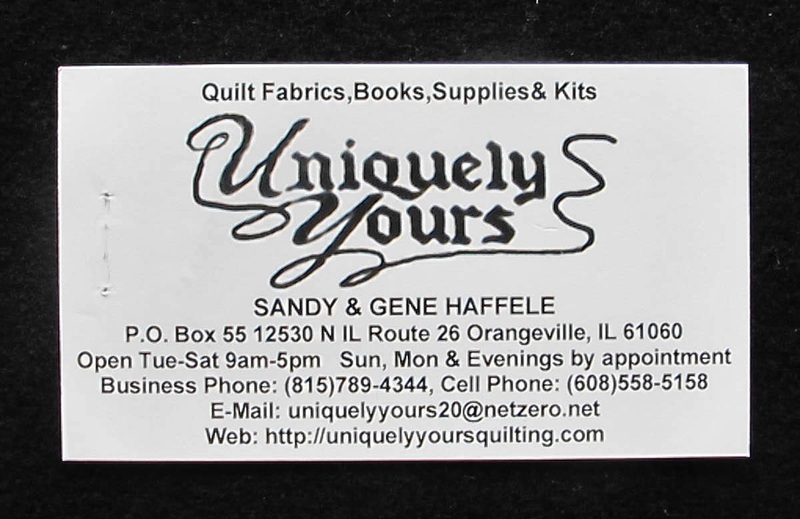 Great patterns for all types of applique as well as other crafts. 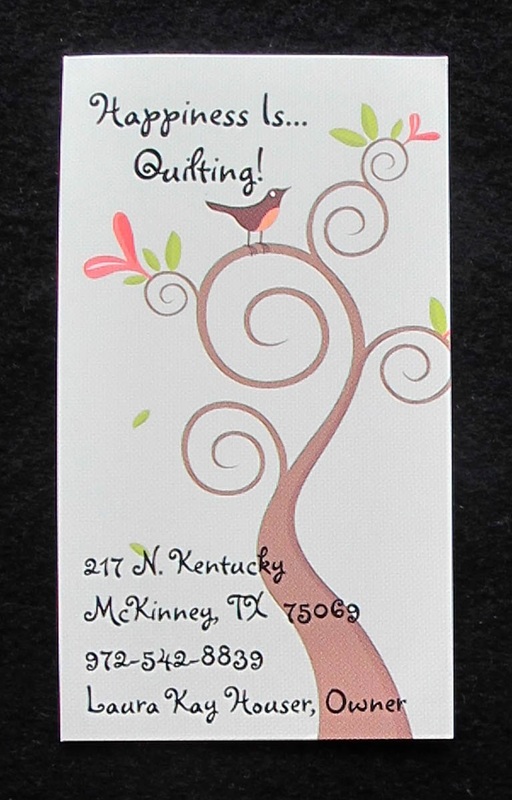 I was on the hunt for wool for doing wool applique projects. Spied this booth that had a selection of supplies for handwork and I did purchase some wool. Lots of nice things here. 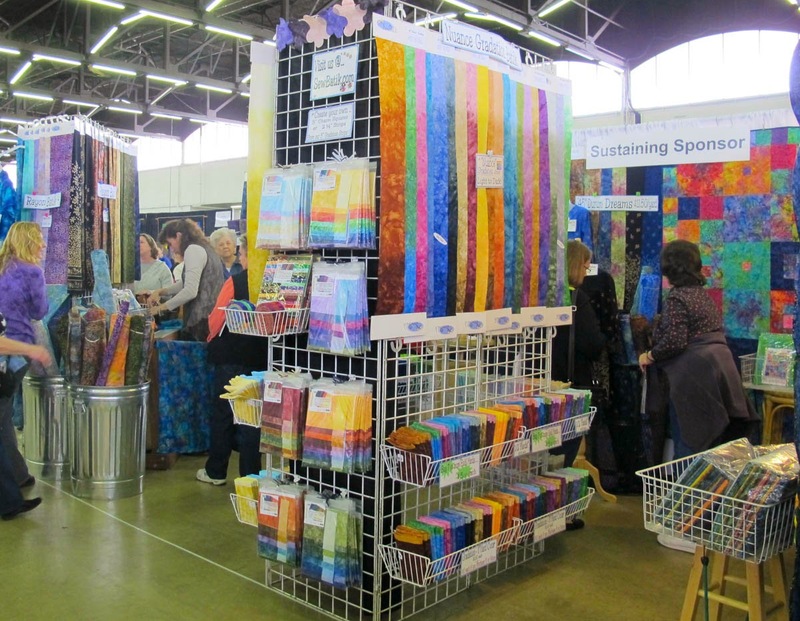 This booth had a great selection of border fabrics. I have made several of the border fabric table runners as gifts but had yet to find the right fabric to make one for myself. 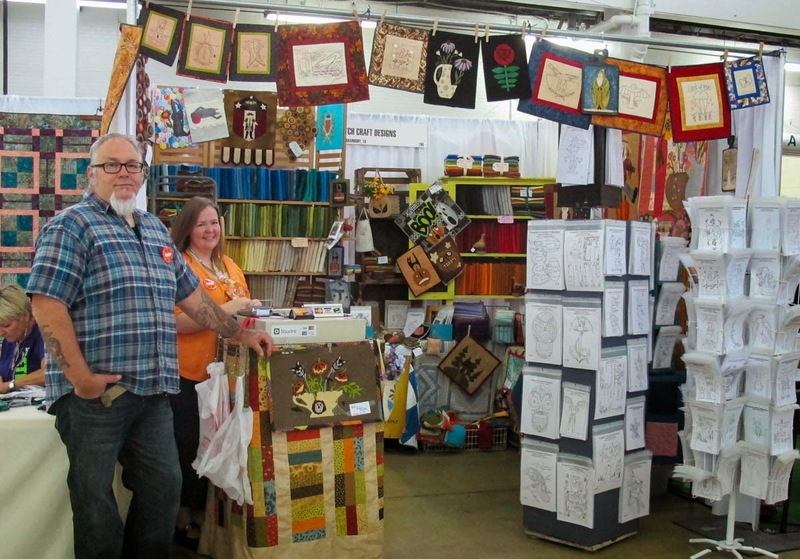 I was excited to find this booth and fell in love with and purchased a border fabric featuring lighthouses. The purse patterns really attracted us here. Sis spied a pattern for a water bottle tote and purchased it thinking how great it would be to have a cute quilted hands free way to carry her indispensable water bottle. 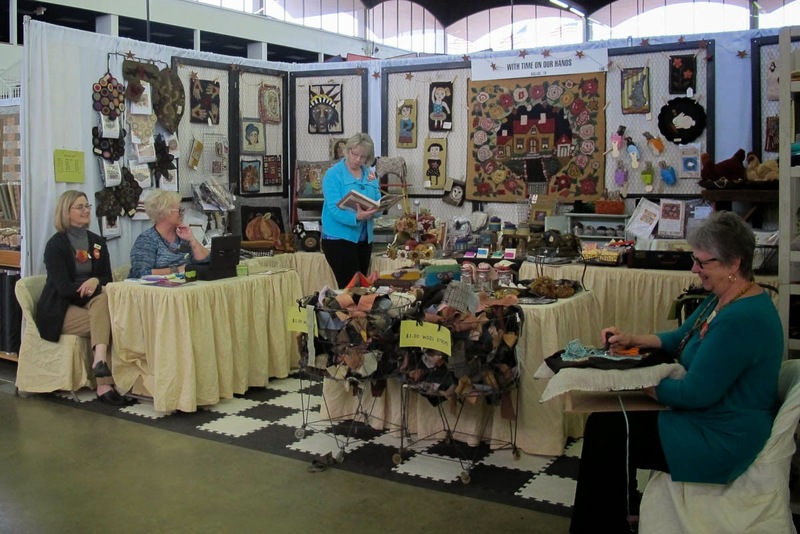 This booth had unusual yarns and embellishments for hand embroidery among other things. 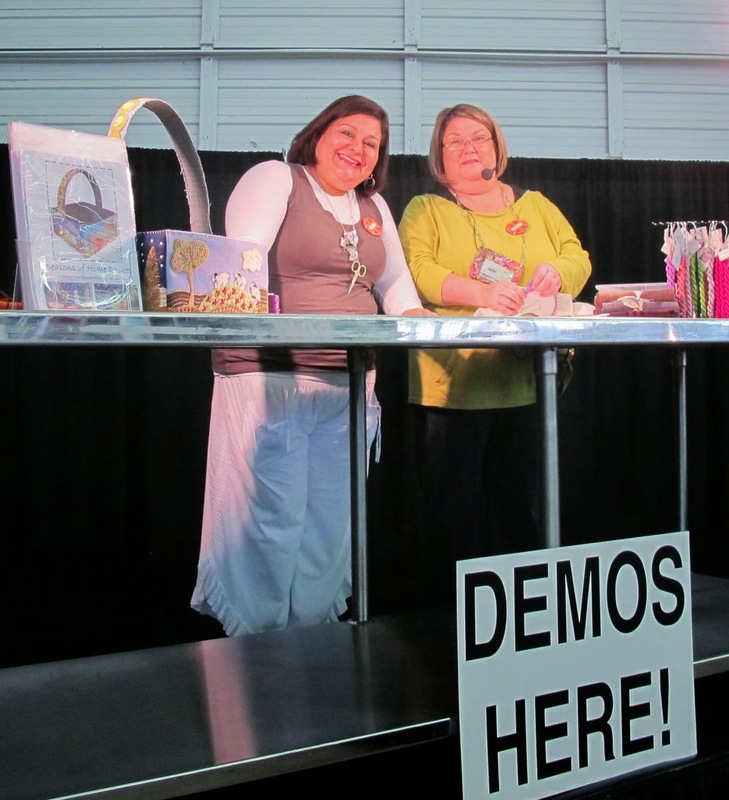 The two ladies attending the booth did a show demo featuring a beautiful 4 Season Basket that they offer classes for in the shop in McKinney, TX which is not far from Dallas. 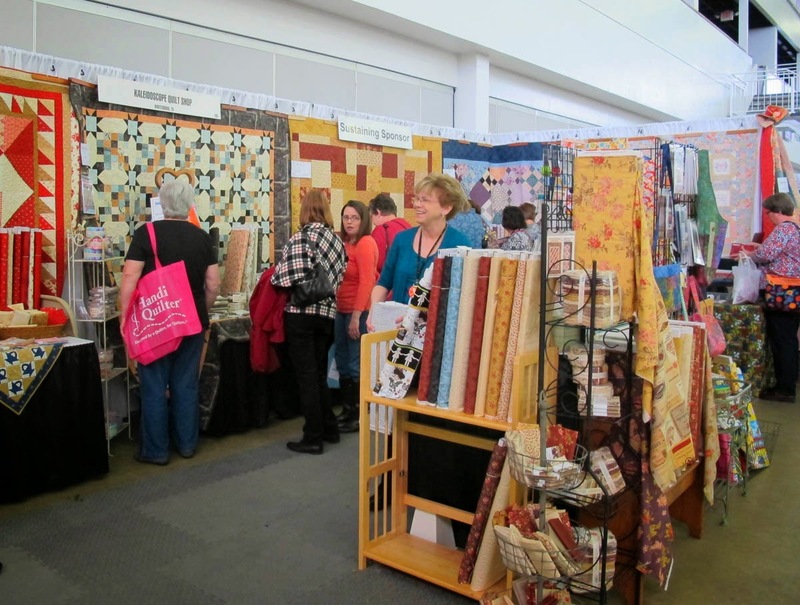 I have visited this booth at quilt show after quilt show and coveted their gorgeous batik fabrics. But I always seem to find them at the end of the day when the wallet is empty and the plastic has been overused and abused. Caught them early this time and finally indulged in some rayon batiks (I love rayon batiks for cool summer camp shirt type blouses.) and a flannel batik. The others in my group also found SEWBATIK's offerings to their liking. Among other things, they purchased some really cute top patterns with the rayon batik fabrics to make them. They have big plans to get together this summer and whip them up. That's my sis on the far right getting her rayon batik cut. 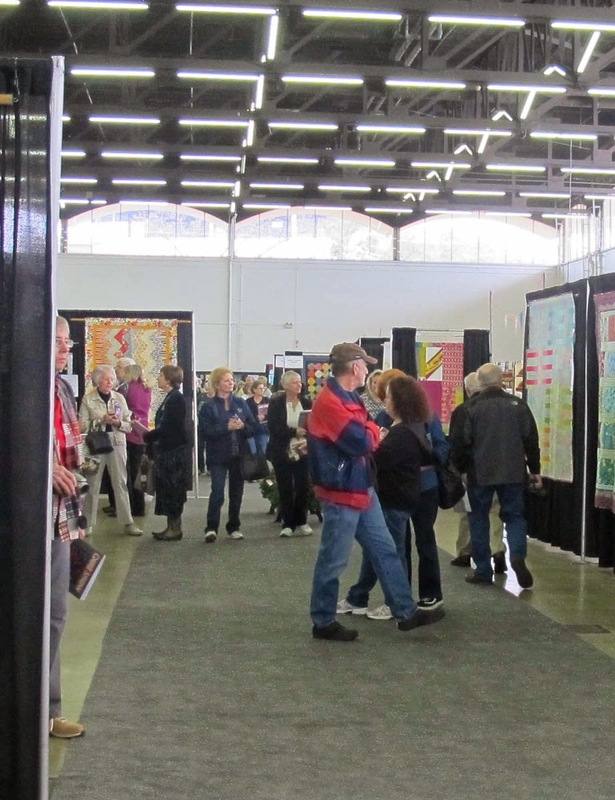 Hope you have enjoyed this review of the Dallas Quilt Show. This was their 33rd year so they are a Dallas tradition. 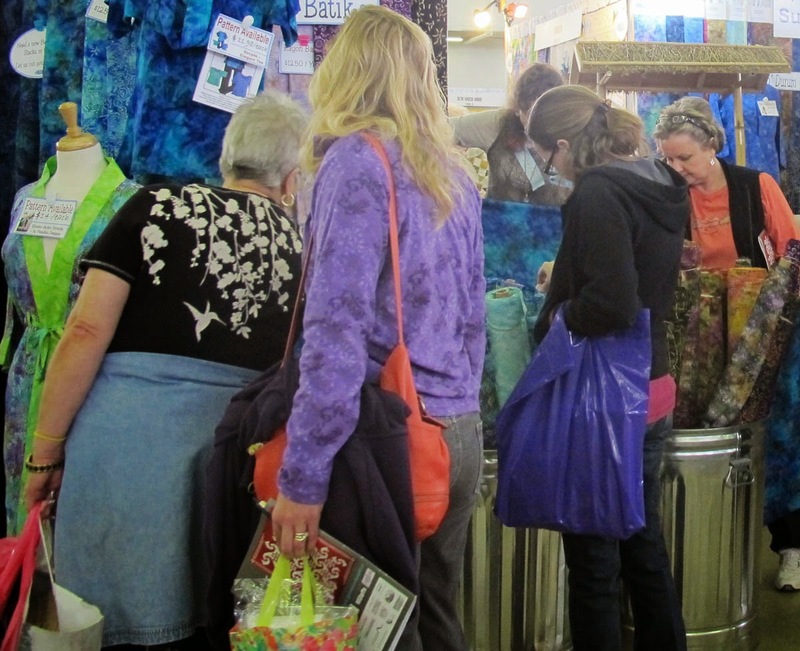 If you happen to be in Dallas next March be sure and take in the 34th annual show!